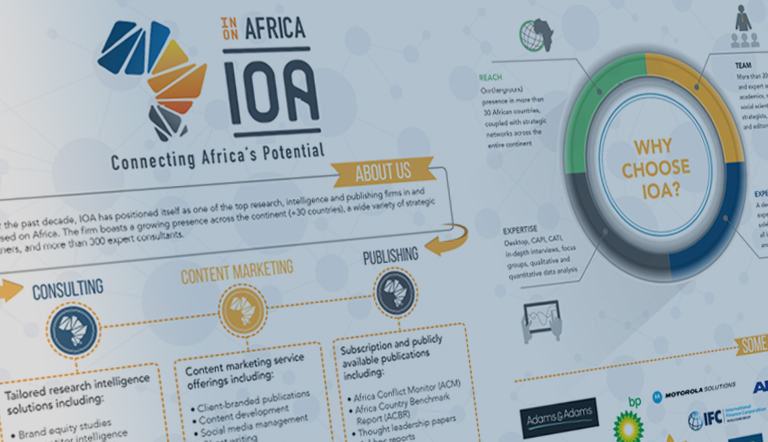 IOA was established in South Africa in 2007 with the goal of becoming the definitive source of expert research and analysis in Africa, focused on Africa. Along our journey, our mission has been to contribute in as many ways as possible to “connecting Africa’s potential” and to the continuing rise of the African continent. Our envisioned destination is to see the African continent realising growth and opportunity for its people, and thriving as a hub for innovation and development across all sectors. We believe that this can only be achieved through smart collaboration and well-informed decision-making. More than 300 expert analysts, academics, researchers, social scientists, strategists, statisticians and editors who share their tremendous passion for all things African. 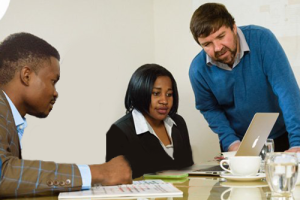 Our team, coupled with our wealth of knowledge on and experience in Africa-related research and analysis, distinguish us as leaders in Africa-focused intelligence. 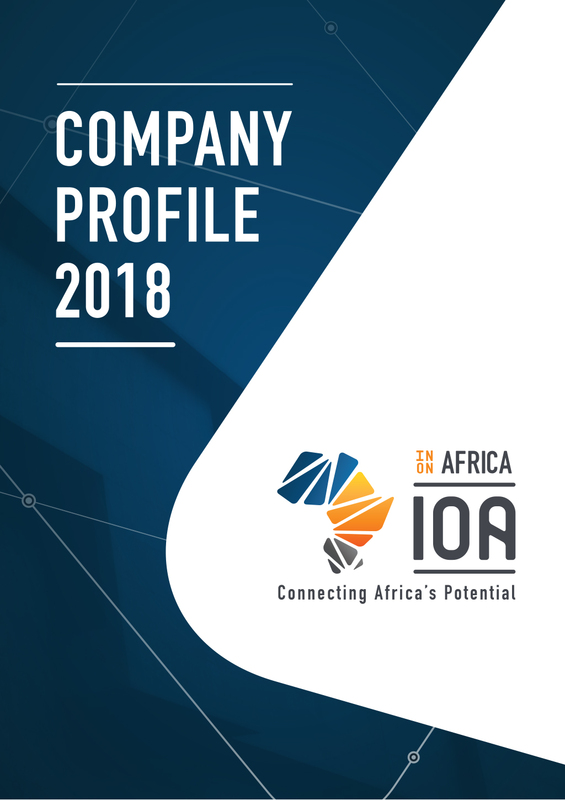 With headquarters in South Africa and consultants spread across the African continent, IOA combines in-country presence and expertise with a holistic understanding of our local and international clientele, making IOA a definitive strategic partner in Africa. We enable private and public entity clients to make informed and calculated decisions in and on Africa, through superior insight into the continent’s business, economic, political and social evolution. IOA is constantly on the lookout for new consultants, researchers, research assistants, analysts, interns, editors and African enthusiasts to join our team. Find out more about joining the IOA team here.